Metroplex Tech has created affordable support plans to suit the individual needs and budgets of the small and medium size businesses that are still growing. Metroplex Tech offers a variety of computer service and support options at reasonable rates for new start-ups, home-based businesses and growing owner operated enterprises. Some IT problems require onsite support and troubleshooting. Metroplex Tech has built a strong team of experienced, Microsoft-certified field technicians and engineers who can deliver technical services anywhere in the Dallas Fort Worth DFW Area. 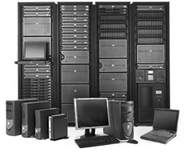 Metroplex Tech's remote support and troubleshooting services give you a great advantage in minimizing your IT budget. Sophisticated remote access tools and experienced technicians can resolve most IT problems without spending time and expense by traveling to your office location. Metroplex Tech is a pioneer in providing remote IT support and has developed a successful remote support system with technical engineers who can deliver fast and low-cost remote IT support solutions. When you need to talk to a technical expert, call us. You'll be tapping into one of the DFW Area's most experienced technical support engineers. Phone support can be escalated to onsite service when necessary, but in many cases your IT problems can be resolved over the phone or through a combination of phone support and remote access. If your issue cannot be resolved over the phone or remotely and requires onsite support then you will not be charged for phone or remote support. Metroplex Tech offers 24x7 support and automated computer, web site, network and server monitoring to keep mission-critical systems up and running smoothly. If you have a office relocation, network migration or computer upgrade project that temporarily requires additional IT staff, Metroplex Tech can supplement your internal in-house staff with experienced technicians and consultants so your IT projects are completed on time. Metroplex Tech can provide Microsoft-certified IT technical experts who can help you plan and manage a relocation of your IT infrastructure to a new office or location. This can include other services such as data center design and implementation, project management, network cabling, Email and data migrations, UPS set up, backup and disaster recovery solutions, ISP Internet connectivity, as well as coordinated system upgrades. Our technical relocation teams can work during off-hours and weekends in order to minimize business disruption. Our computer consulting services give your business affordable access to senior level technical expertise in areas where you may lack in-house resources. Our extensive enterprise IT experience focusing on Windows networking and systems has helped many local companies improve the efficiency of their information networks. We can provide expert advice and recommendations, IT assessments, hardware reviews, detailed implementation strategies, network diagrams and as well as hands-on support and service. Our system engineers can provide insights on infrastructure and architecture that will allow your information network to grow along with your business while meeting your IT budget. Metroplex Tech offers computer consulting services for "as-needed" support, for specific one time projects, or for ongoing regular IT support. Metroplex Tech provides comprehensive end-user support services that make it possible for you to have your employees and staff contact us directly to use our support services. Our end-user help desk service can help with general technical support issues and troubleshoot problems quickly and efficiently. Metroplex Tech bills for all "as-needed" computer support and services by the hour and offers substantial discounts for large projects and regularly scheduled IT service. New clients are billed net 30 after the first 5 support visits. A written estimate can be provided for specific one-time IT projects and for customized regularly scheduled computer maintenance and support packages. We can schedule computer service the same day or within 24 hours.